In the middle of the twenty-first century, life as we know it has changed for all time. Shira Shipman's marriage has broken up, and her young son has been taken from her by the corporation that runs her zone, so she has returned to Tikva, the Jewish free town where she grew up. 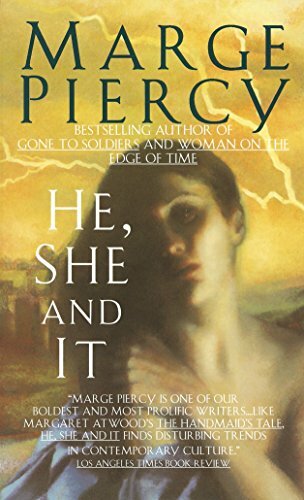 There, she is welcomed by Malkah, the brilliant grandmother who raised her, and meets an extraordinary man who is not a man at all, but a unique cyborg implanted with intelligence, emotions--and the ability to kill. . . .